Last week Obamacare architect Jonathan Gruber told Americans that Barack Obama’s health care law was working just as it was designed – jacking up premiums and deductibles, and limiting choices for its customers. One was to cover the uninsured, of which we’ve covered 20 million, the largest expansion in American history. The other was to fix broken insurance markets where insurers could deny people insurance just because they were sick or they had been sick. Those have been fixed, and for the vast majority of Americans, costs in those markets have come down, thanks to the subsidies made available under Obamacare. But doctors who value the private decision-making process between physician and patient without government intrusion say Gruber’s comments underscore for them that Obamacare was never about health care, but about achieving another Progressive goal of massive wealth redistribution. In 2014, Gruber testified before the House Oversight Committee that Obamacare’s designers took advantage of the “stupidity of the American voter.” Now, Gruber says the law is working just fine since most Obamacare customers won’t be paying the higher premiums because they qualify for subsidies. What he didn’t say is that other people will be paying for those subsidies through higher taxes. Gruber’s comment of insurance coverage for those who were uninsured is utter nonsense. The vast majority – 85 percent – of those who have signed up for insurance through the Obamacare exchanges are individuals who would have previously qualified for Medicaid but hadn’t applied. Why? Because they simply didn’t need it. They weren’t sick. So, to claim that this is some huge accomplishment to have these folks sign up for insurance and forcing the taxpayers to foot the bill is a travesty. It is simply sending money to the insurance companies for no purpose other than to improve their bottom line at the expense of the taxpayer. Dr. Jane Orient, a specialist in internal medicine, tells Breitbart News she is “surprised” Gruber agreed to another interview, given the fact he finally revealed the deceptions he used to achieve the adoption of Obamacare. “If Obamacare is working as intended, then it was intended to destroy medical insurance and private medicine,” Orient says, referring to the notion that Obamacare was designed to fail so that a single-payer, totally government-controlled health care system would then replace it. Gruber said Obamacare could “work better” if the individual mandate “penalty” were larger. To many doctors, however, “larger penalties” to induce compliance doesn’t translate into health care. Orient would like to see Americans purchase their own health insurance. Most medical care should be paid for at the time of service by the person receiving the service. Health insurance should be like casualty insurance (auto, homeowner’s, life), which is affordable – you hope you never have to use it, instead of expecting to use it constantly. If we replaced managed-care plans pretending to be insurance with true insurance, medical prices would drop like a rock, instead of inflating like a bubble – and some say “health care,” which is mostly not medical care, is indeed a bubble. 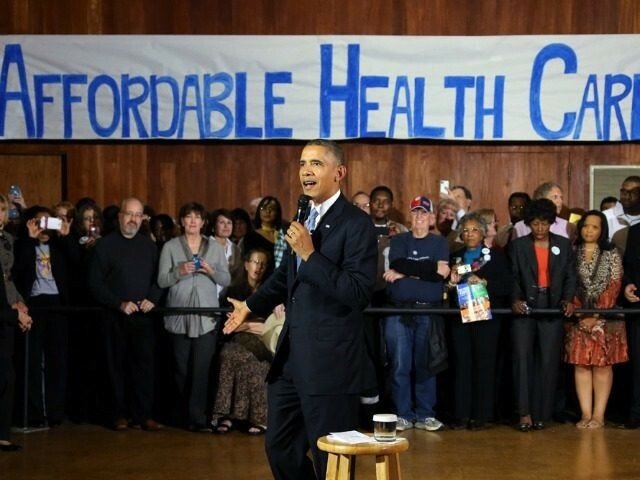 Dr. Lee Vliet, a preventive medicine physician, tells Breitbart News Gruber’s admitted deceptions to the American people have led to destruction in the daily lives of Americans – and some of them are not even customers of Obamacare. However, Secretary of the Department of Health & Human Services Sylvia Burwell says Obamacare cannot be repealed. “Why I believe that repeal is not an option is because this is in the fabric,” Burwell told Politico in July. The idea that you are going to pull out the thread of insurers not being able to deny over preexisting conditions? Don’t think so. The idea that you are going to pull out the thread of 20 million people who have coverage? The idea that you are going to pull out that thread of, “Oh, you’re going to go back to paying for your contraception, and you’re going to go back to paying for your flu shot, and I’m going to pay for my kids’ wellness visits?” No. But Gianoli says if Obamacare is allowed to remain its costs will continue to soar and there will be fewer and fewer options for consumers.